Something was happening inside Dorrigo Evans as he watched. Here were three hundred men watching three men destroying a man whom they knew, and yet they did nothing. And they would continue to watch and they would continue to do nothing. Somehow, they had assented to what was happening, they were keeping time with the drumming, and Dorrigo was first among them, the one who had arrived too late and done too little and now somehow agreed with what was happening. He did not understand how this had come to be, only that it had. As a young child, I was fascinated with the two World Wars. I have two distinct memories related to this. My father, a Vietnam War veteran, very occasionally would talk about what he experienced in that latter war, namely witnessing the torturing of a Viet Cong prisoner by Korean soldiers. The other thing he would recollect was how a history professor of his had been in the Bataan Death March and how his harrowing stories of slave labor and brutal mistreatment by the Japanese affected him decades later. These stories have shaped my images of warfare, especially in relation to PoWs, as being an excruciating series of terrors punctuated with witnesses (if not direct experience) of torture and depraved behavior. 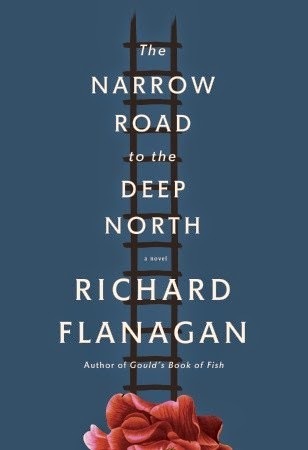 In his 2014 Man Booker Prize-longlisted novel, The Narrow Road to the Deep North, Australian writer Richard Flanagan follows the lives of a group of Australian PoWs and their Japanese captors as they are charged with building the infamous Burma Railway. This railroad, known also as the Death Railway for the tens of thousands of forced laborers' deaths during its construction, and its construction has been described in many novels and movies, mostly famously in Pierre Boulle's The Bridge on the River Kwai. Boulle's account of the PoWs' experiences during the building of the infamous Bridge 277, however, does not accurately describe the sufferings experienced by the PoWs. In contrast, Flanagan's novel devotes much of its space to covering these depravities in substantial detail. The Narrow Road to the Deep North, named after a haiku by a 17th century Japanese poet, is divided into five parts that chronicle the lives of several soldiers, most especially that of Dorrigo Evans, over the course of the twentieth century to the dawn of the twenty-first. At first, the action is slow in developing, as the prewar lives of Evans and other PoV characters only barely hints at the transformations to occur after their capture and forced labor on the Burma Railway. It is in the final three parts of the novel where the gradually building tension in the soldiers' lives blows up in spectacular ways. As Evans, a medical doctor, is placed in charge of a thousand man detail, he daily has to confront the awful decisions of survival and death that he is forced to make. He witnesses several brutal beatings, such as that quoted above, and these dehumanizing experiences change him and others around him, including some of his captors. Flanagan asks a lot of his readers. Not only are these sufferings outlined in sometimes graphic detail (the discovery of a man who had just died from amoebic dysentery being but one example), but just when it would seem that the Japanese and Korean soldiers had been built up to be cruel, inhuman monsters, he turns around and has several chapters in the crucial middle section told from their perspectives. This, however, serves to create a larger dynamic here, that of how violence shapes lives. In the final two sections, following the end of fighting, Flanagan shows these now ex-soldiers and how they struggle to adapt to their new surroundings. The results are not always pretty, as denials and self-exculpations for what has transpired abound. Violence continues to haunt these men, even as some struggle to justify their actions in order to prevent themselves from being condemned. As noted above, The Narrow Road to the Deep North starts very slowly. Although the character development established there eventually pays dividends, it was a very sluggish first couple of sections and it was not until nearly 200 pages into the novel that the story truly comes into its own. However, the second half of the novel is so powerful in its treatment of violence and how these soldiers try to cope with what is happening to and around them that it more than makes up for the slow pace of the beginning sections. Flanagan's prose is chilling at times, especially in his depictions of the punishments inflicted on the soldiers. Even more than this, it is how he turns these graphic portrayals around and makes of them a commentary on the human condition that makes The Narrow Road to the Deep North a worthy nominee for the 2014 Man Booker Prize. Nice and timely delivery by Flipkart. The book comes with a jacket and is hardbound. Pages and quality of print gives it a very classy feel. The love story is really messy. Book needs patience to read. You need to sit with google to search for all the Australian references. The history element is not that heavy, it is more like a drama.